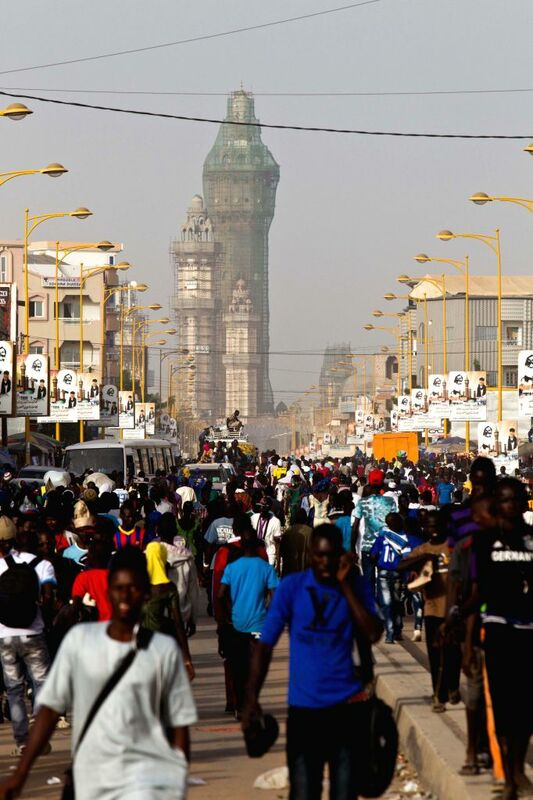 Touba: Pilgrims walk on the main street near the Grand Mosque of Touba, Senegal's holy city, Dec. 10, 2014. Senegalese will celebrate the festival of Grand Magal on Thursday, an annual pilgrimage which is estimated to attract more than 2 million Mouride faithfuls in West Africa and around the world. 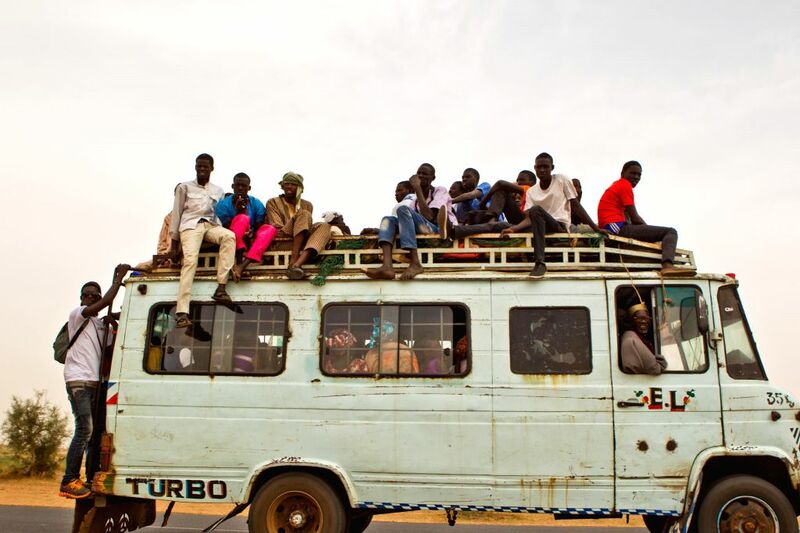 Pilgrims arrive in Touba, Senegal's holy city, Dec. 10, 2014.